Rolling Ranch Racks are here at last. Ranch Rack is a division of Catrina's Interiors LLC. 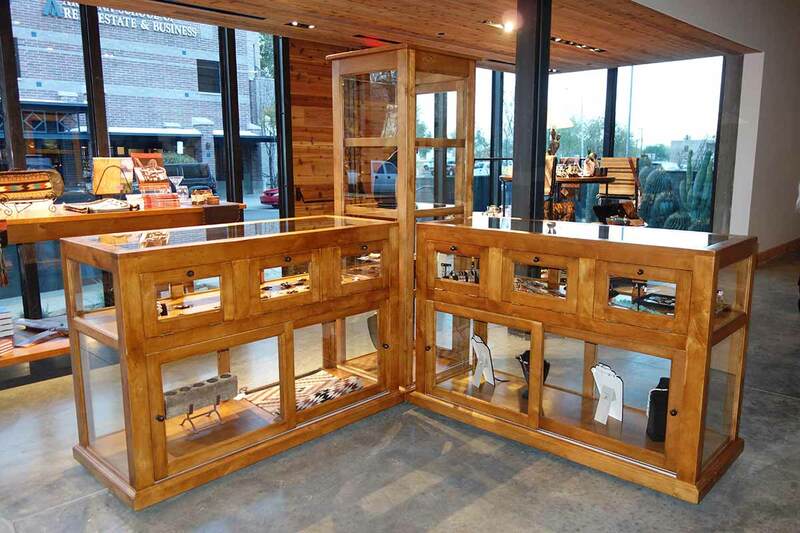 Catrina’s Interiors, renowned for our award winning designs and custom furniture, have produced display cabinets for a variety of prominent retail stores and museums. No longer satisfied with those outdated metal racks and fittings, retailers and their customers are now in search of an elegance that only fine custom-furniture displays can provide. The rich appearance of museum-quality, hand-finished, solid wood rolling cabinets mounted on heavy-duty industrial casters, enhances the shopping experience, and your merchandise will be perceived as having a greater value. Comfortable surroundings will tempt your customers to shop for longer periods and purchase multiple items, rather than just browse through your store only to leave empty handed. 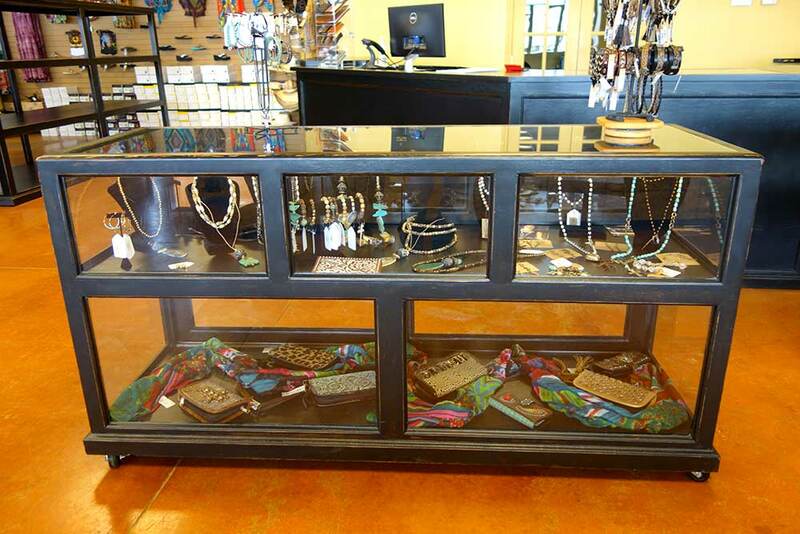 Showcase your valuables in our glass jewelry cabinets and display your cowboy boots on our finest racks. 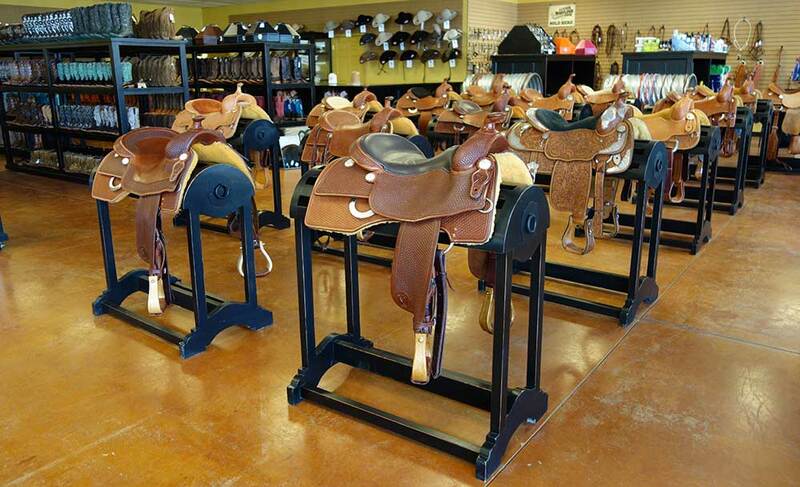 Our hand-carved stands are essential for show saddles. 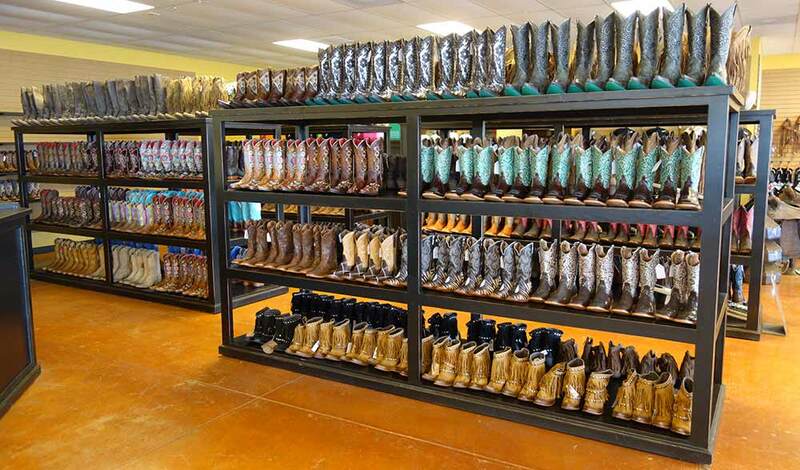 Boots and saddles, hats and belts, blue jeans and shirts with western accents, are all complemented by our rolling display cabinets. Reposition your Rolling Ranch Racks for an instant makeover, and effortlessly reclaim precious retail space for a fresh new look to tired old stock. The appearance and layout of your store can be just as important to your retail success as the products you sell. 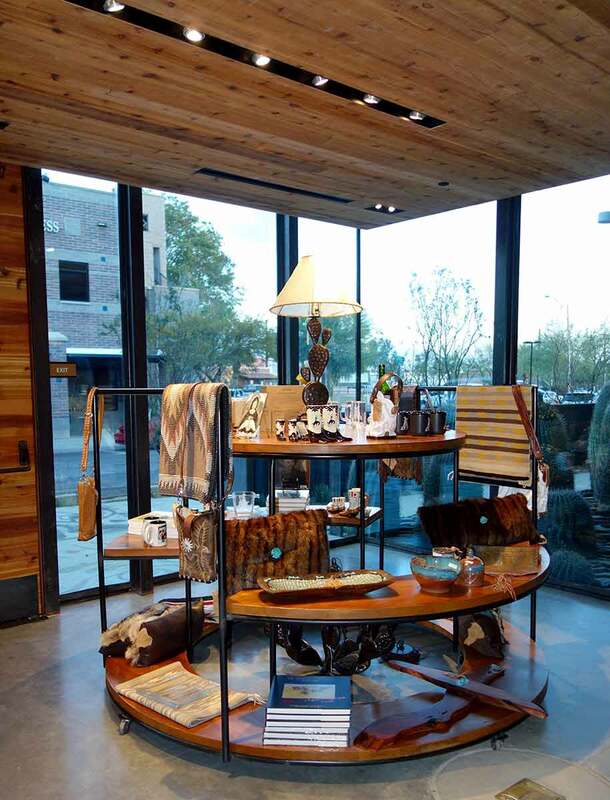 Your store décor and visual merchandising techniques are essential to your customer’s experience. A welcoming environment can have an immensely positive effect on your customers by helping them relax while shopping. Competing stores often sell identical products, but buyers are inclined to purchase from retailers having the feel-good factor that only comes with superior presentation. Ranch Racks are mounted on heavy-duty industrial casters that can be locked into position for a permanent presentation. When you feel like a change, and your store requires a quick facelift, it’s easy to reposition your racks and create a fresh new look to tired old stock. All products by Catrina's Ranch Interiors are individually designed to your personal specifications and constructed of beautifully hand-finished solid wood. 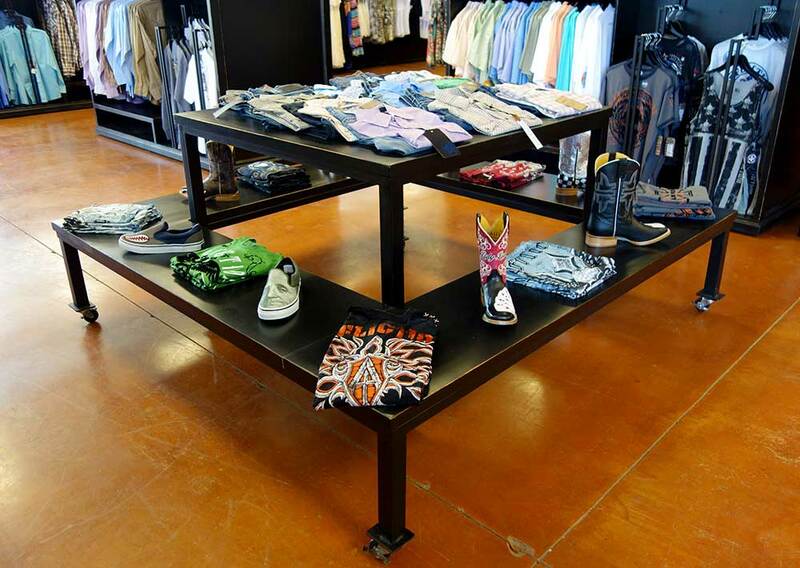 At Ranch Rack we make sure each rack is effortlessly moveable, so not only can they be rolled in, but each rack can be rolled throughout the store to refresh your displays on a regular basis. It’s the perfect solution for your store's long overdue makeover, and it's so much easier to clean your floors too. Roll out your new look with Ranch Rack! Our museum-quality Showcase Cabinets are constructed of solid wood and glass and may be ordered in custom sizes to meet your requirements. Keep your valuable showpieces safe while elegantly exhibited in Ranch Rack glass display cabinets. Ranch Rack elegant presentation cabinets are mounted on heavy-duty industrial casters, making them effortlessly moveable throughout your store. It’s easy to reposition your racks to create a fresh new look and the perfect solution for your store's long overdue makeover. Our beautiful display cabinets, designed by Catrina's Ranch Interiors, have rear sliding doors for easy access, and locks can be added upon request. 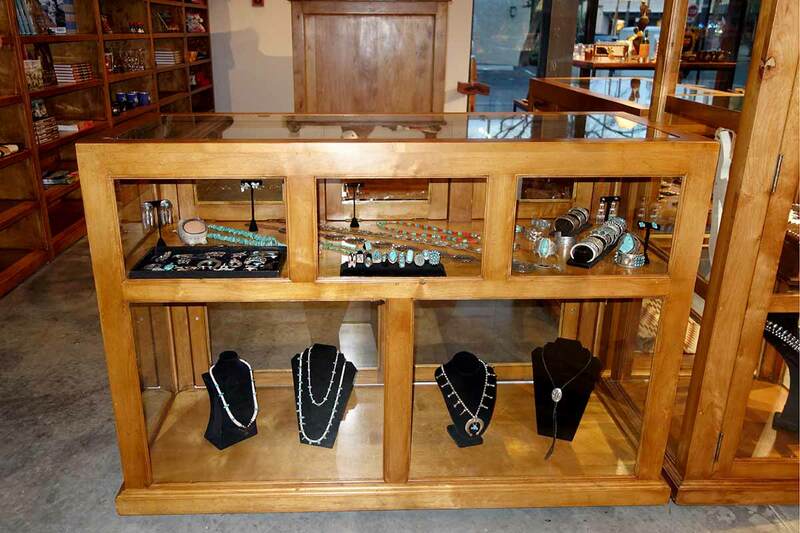 Illuminated exhibits enhance the appearance of your jewelry and accessories, and all our hand finished cabinets can be supplied with internal lighting if desired. You may select your cabinets in a preferred finish that beautifully complements your store. Choose from a variety of wood color finishes or perhaps a favorite colored finish, you may also choose a color rubbed finish, all at no extra charge. Ranch Racks are mounted on heavy-duty industrial casters that can be locked into position for a permanent presentation. When you feel like a change, and your store requires a quick facelift, it’s easy to reposition your racks and create a fresh new look to tired old stock. All our products are individually designed by Catrina's Ranch Interiors to your personal specifications and constructed of beautifully hand-finished solid wood. 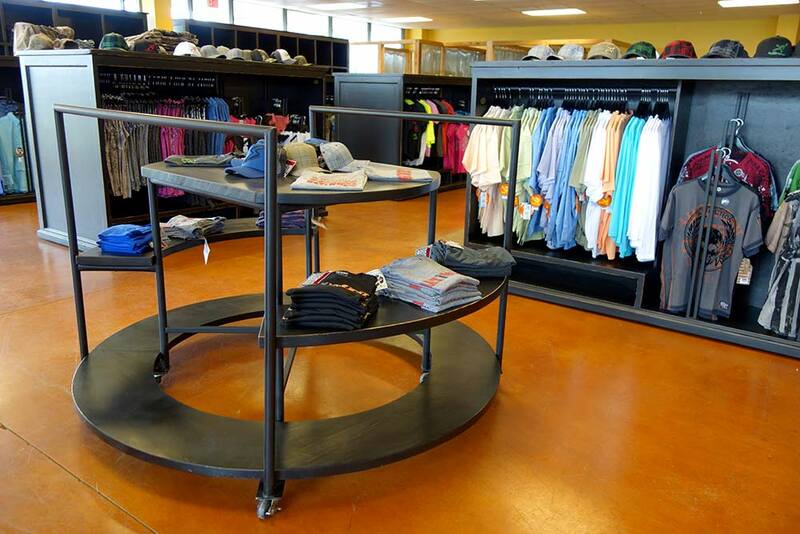 At Ranch Rack we make sure each rack is effortlessly moveable, so not only can they be rolled in, but each rack can be rolled throughout the store to refresh your displays on a regular basis. It’s the perfect solution for your store's long overdue makeover, and it's so much easier to clean your floors too. 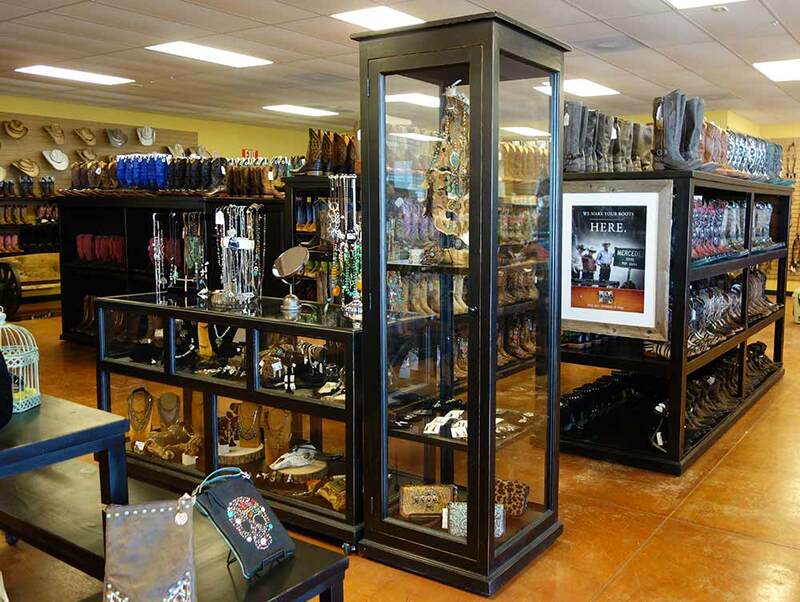 Showcase your valuables in our museum-quality glass jewelry cabinets and display your cowboy boots on our finest racks. 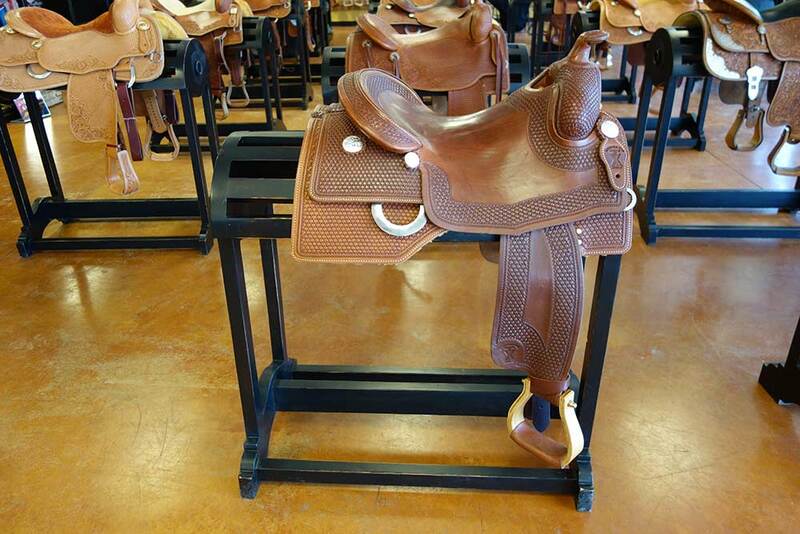 Our hand-carved stands are essential for show saddles. 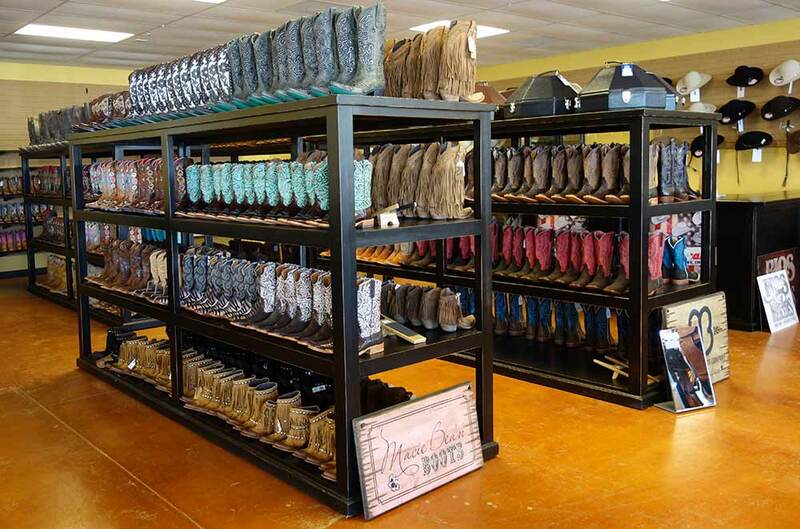 Boots and saddles, hats and belts, blue jeans and shirts with western accents, are all complemented by our rolling display cabinets. 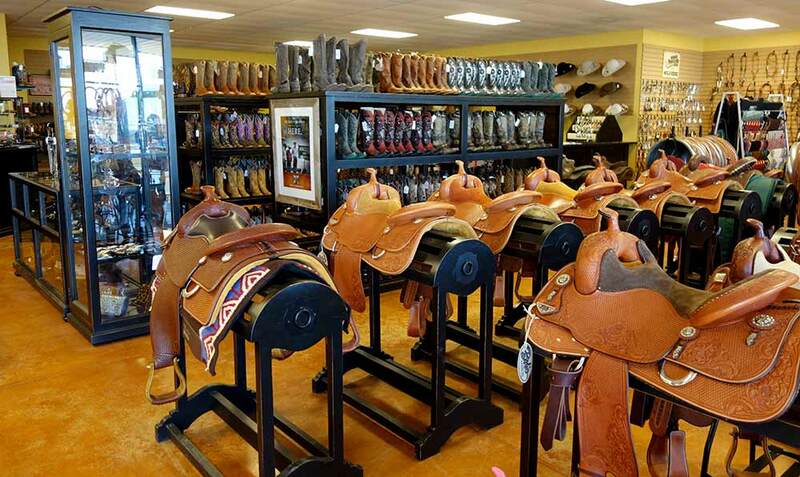 We are located in Boerne, San Antonio, Texas and supply museum-quality Custom Rolling Showcase Cabinets and Display Fixtures for Western Wear, Cowboy Hats, Boots and Saddles. 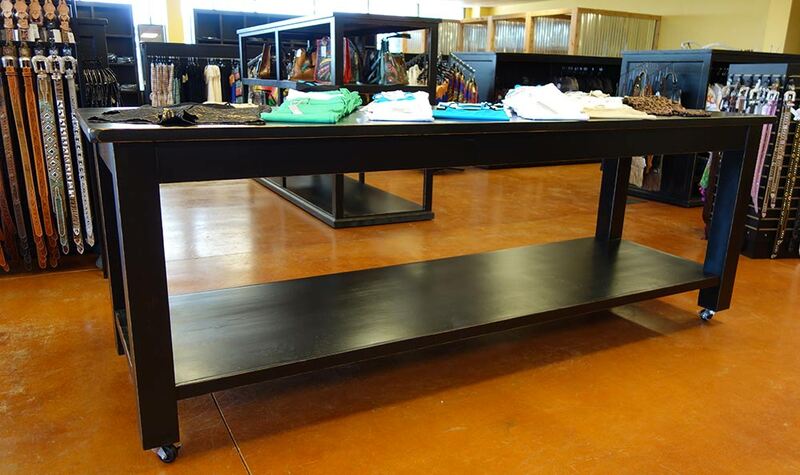 Our Rolling Tables, Bookcases and Jewelry Showcases, Hat Counters and Customer Service Counters, are all mounted on durable Industrial Casters. 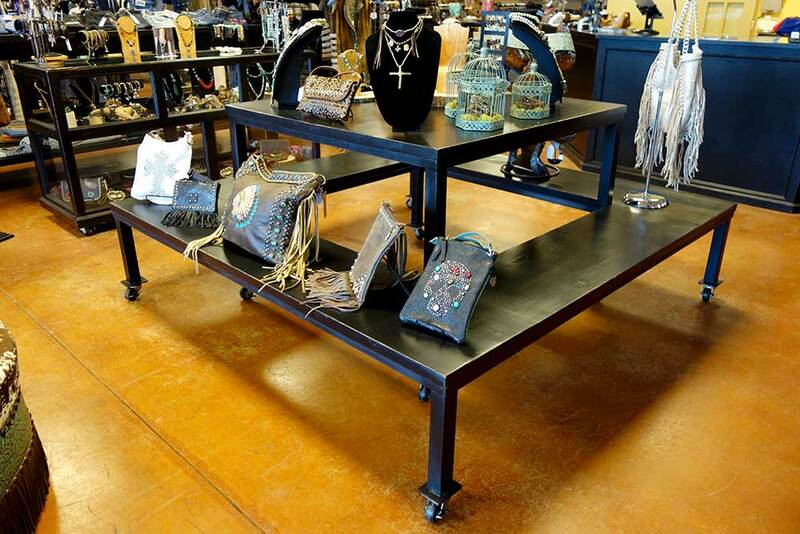 Ranch Rack is the perfect complement for all Clothing, Shirts and Jeans, Horse Tack and Rodeo Accessories.